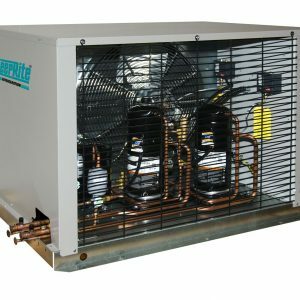 This unit features single or dual compressor(s) and a vertical discharge air-cooled condenser that is suitable for large walk-in coolers and freezers, blast freezers, warehouse applications and spaces where roof mounted condensers are most practical. 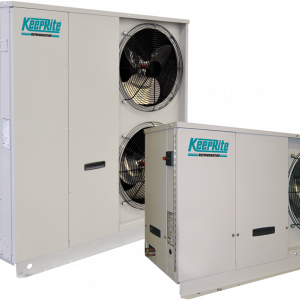 Using high efficiency compressors and utilizing the THERMOSPAN™ condenser core design, the unit meets all application needs from 6 to 40 HP (high/medium temperature) and 7.5 to 44 HP (low temperature). 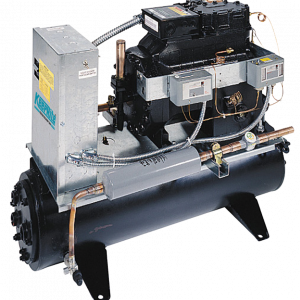 Energy efficient compressors with POE. Several Options to choose from: Copeland Discus, Bitzer reciprocating. 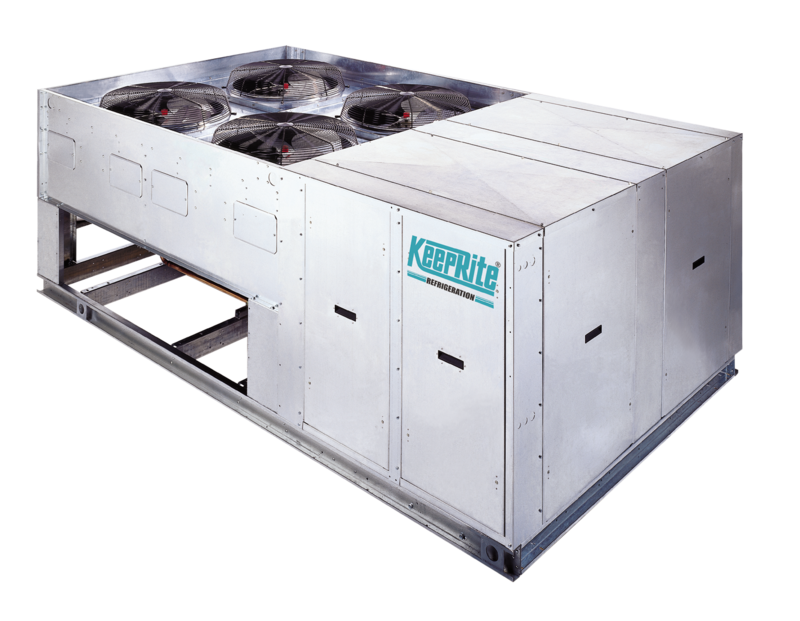 Subcooling circuit in condenser on all models (except high temperature H8 models) increases overall system efficiency and provides dependable compressor operation. Electrical components are housed in a spacious and conveniently located panel. 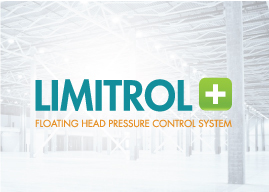 In case of a compressor trip, a Lock-out relay de-energizes the liquid line solenoid valve. In addition, SPDT contact is provided for field wired alarm circuit. Spring mount compressor with discharge and suction vibration eliminator. Condenser fan cycling control (pressure) on two-fan models.